You've seen your share of rooftop bars, but sometimes you need a break from the plate-glass glitz. Something a little grittier. And closer to the ground. If it happens to be in one of the city's craziest neighborhoods, all the better. 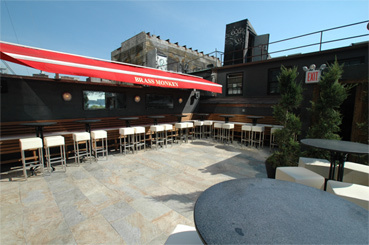 Welcome to the new roof deck at Brass Monkey, the naughty little brother of the upscale rooftop bars you're used to, open now. You might be familiar with the raucous first floor as your grungy oasis in the midst of the bustling MPD fray. 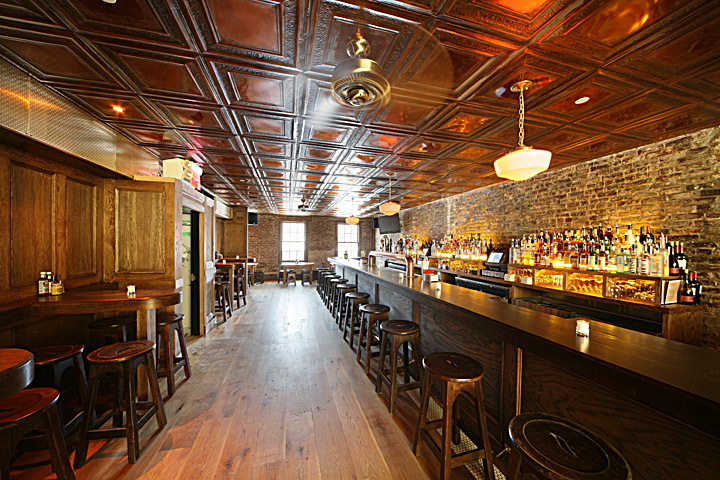 But while you were off exploring the roofs of Midtown, the Monkey has sprouted a second floor and a roof deck, meaning a lot more room for the revelry you know and love. In true Monkey fashion, the view here isn't golden cupolas and corporate towers: This deck looks out on an asphalt-covered dog run, a parking lot and the West Side Highway. There's a flat screen on the way for movie nights, but the real show is the unobstructed sunset over the river. And when you're done taking in the view, you can turn around and gaze up at the Gansevoort roof in the distance. Don't worry, it's farther than it looks.